The autumn is here and we are completely ready to choose new products for our almost gone kissed-by-sun skin. I ordered the products I’m going to review for you a few months ago but I tested them thoroughly just now, after this incredibly hot summer has calmed down. 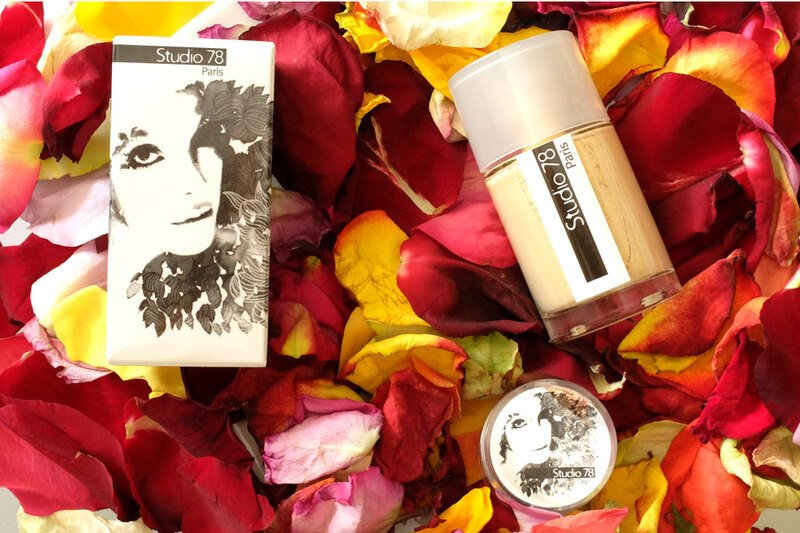 We all know Studio78 Paris make-up is a cult French brand with beautiful illustrations and that modern alter chic! Well, I looked also what’s inside and have to say that its concept is very interesting, but not for every taste, at least, if I think about the foundation. I have tried the Studio78 Paris Liquid foundation 01 energising mist; the lightest shade and have to say that is one of the palest shades I’ve tried, suitable for very light, fair skin with yellow undertones. 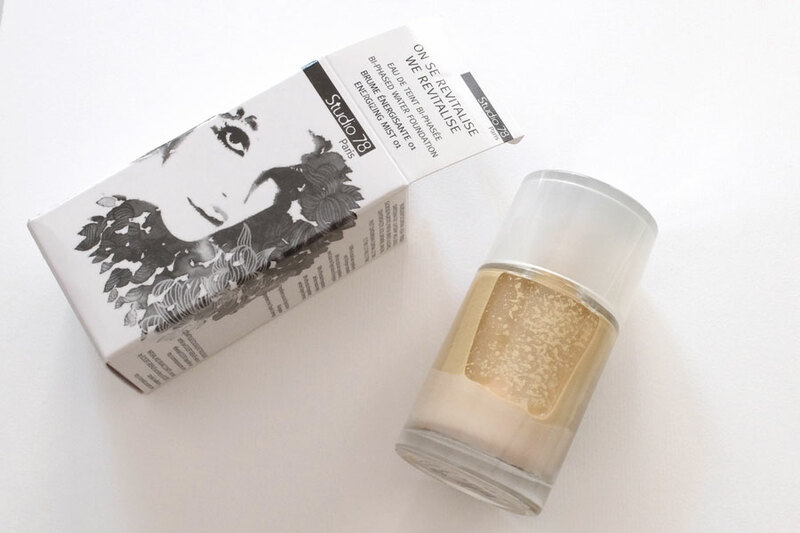 The foundation comes in a glass 50ml bottle that has to be shaked very, very well before each use. On the picture you can see how it looks this bi-fase formulation, so don’t worry it’s nothing wrong with the product. It only has to be shaked. The application might be a tricky thing and you have to know before how to work with this texture, otherwise you will hate it soon 😀 After you shake the product well so that the color becomes even, apply the product on your hand in a very small amount (it’s very liquid) and with your fingers apply it on the face and blend very well, almost press it into the skin. You really need to put the smallest amount otherwise it’ll be hard to blend it especially if the skin is not moisturised well. Its texture is very light and covering yet it disappears quickly because the water in it starts to evaporate out. However, for those who look for a matte finish that’s it. But would not recommend it for very dry skin. In every case you have to hydrate and prepare well the skin before, otherwise you will have some difficulties to spread it. You can also apply it with fingers and then blend it quickly with a sponge by pressing the product into the skin. The formula is enriched with organic avocado oil and organic glycerin, known for their moisturizing properties. It also contains palmitate sucrose for its softening and soothing qualities. This time it seems that I was really inspired by make-up with gorgeous illustrations 🙂 Even this lovely brand with a fun name has caught my attention with their only make-up product; Agronauti Gea CC cream. It comes in a plastic 50ml tube and in one medium shade, that works the best for medium and not light skins. I can use it now because I have a little tan left, otherwise it doesn’t suit my light skin. 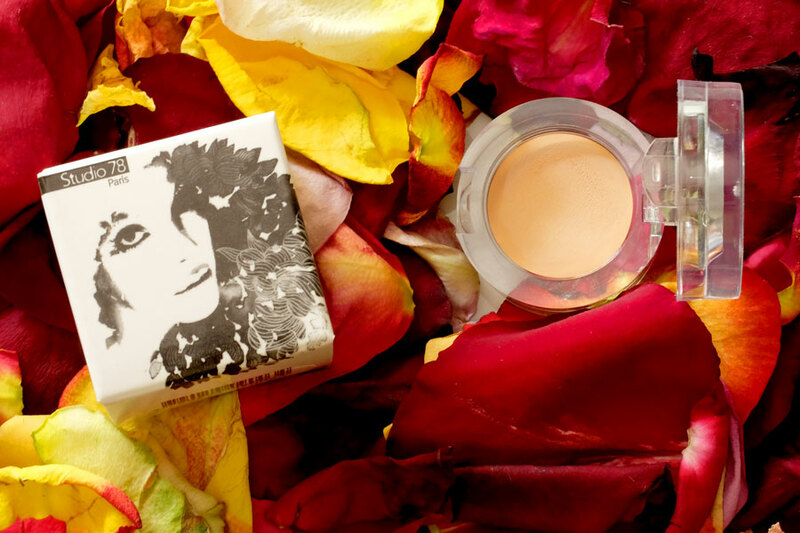 The shade is warm, with a slightly orange undertone to correct and revive the skin’s appearance and even the imperfections. This is why it is a CC cream = Color Correcting / Color Control cream. In its texture is quite dense, but when applied on the skin it blends easily and it leaves a beautiful even, smooth finish. The only thing I miss is another lighter shade! That would be great, because it’s really a very good product that doesn’t dry the skin and it was a total revelation! Thank you for this informative and floral post. After reading this post, my very first thought was: why do cosmetic companies make all letters (bb, cc, dd…zz) creams in so dark shades? Maybe do they think that these alternatives (bb/cc creams) to regular foundation are intended for summer usage only? 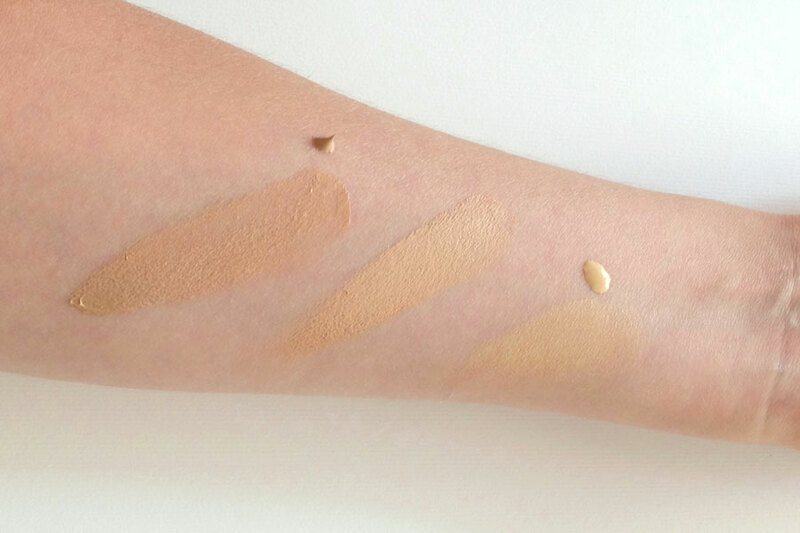 Unfortunately also some foundations are not that light in their first shade: the new foundation from the company that I love so much (dr. Hauschka :-)) is a little bit dark on me, even though I’m light but not pale. Yes, I mean shade n. 01 from dr Hauschka. The problem with this foundation is that it oxidizes after a few minutes from application and my skin becomes darker (maybe you’re darker than me and oxidation is not noticeable). A pity, because otherwise it is really comfortable (it needs some powder though). Thank you for your advice, I will certainly try it. I understand regard oxidation…perhaps try also with some samples of their creams since they are all with same formulations of ingredients and use it under the foundation, so that the skin adapts. plus use the powder. I know that maybe you might hate me for my wandering from the main point/topic. I almost forgot that it’s not an email. So my apologies. 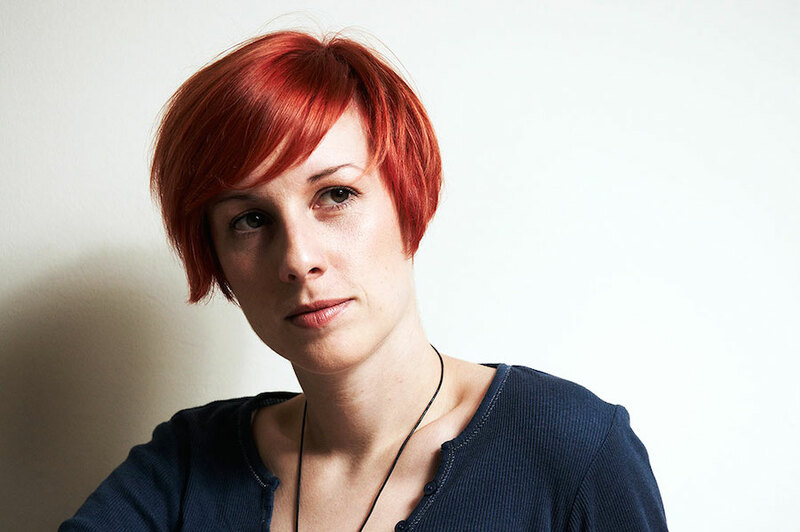 (Thank you for this second trick about dr. Hauschka foundation. Next time I’ll ask you another question about cream/foundation combination. Next time). To be more appropriate: the thing that I appreciate from Studio 78 is innovation, their trial to make natural cosmetics more similar in performance to conventional lines. And, as you said, for those who like their packaging style, this is a plus.